The recent threats leveled at Europe by the Islamic State (IS) have caused many a country to step up its security measures, in order to dissuade or counter potential terrorist attacks. Due to their geographic position Italy, Spain and Malta may find themselves at the receiving end of an attack carried out by means of ballistic missiles by the IS. As Europe’s southernmost nation Malta finds itself in a very delicate position. Undermanned security forces, obsolete equipment, inadequate training and the absence of a national defence policy, may cause the nation to fall into chaos should it be targeted by a terrorist attack. Corpi d’elite has spoken to a retired member of the Armed Forces of Malta (AFM) in order to assess the level of preparedness of the island’s security apparatus. How credible are the Islamic State threats of missile strikes aimed at Europe’s Mediterranean countries? The threat of the IS acquiring long range missiles from the several Libyan weapons’ stockpiles, which went looted in the aftermath of the Libyan Revolution’s overthrow of Colonel Muammar Gheddafi’s regime, is very real and palpable to the degree where and when such weapons and related munitions still exist and haven’t been destroyed by aerial bombings of the EU nations which helped in the regime’s demise. Significant quantities of these armaments have found themselves in other theatres of conflict, as far as Syria and Mali (two countries which do not share geographical borders with Libya). The IS have also boasted themselves about this in recruitment pamphlets which have been placed online. Should the United Nations authorize the use of force against the IS terrorists in Libya, Malta will be asked to operate as a forward logistics base, just as in the days of operation “Odissey Dawn” of 2011. Which were the lessons learned by the Armed Forces of Malta (AFM) on that occasion? During the Libyan crisis, Malta’s geographical location placed it again in the unique historical position to serve as some “unsinkable aircraft carrier” (as British WW2 Prime Minister Sir Winston Churchill so affectionately called the Islands), capable – with the support of a steady flow of foreign support – as a launching platform for several varied asymmetrical joint force operations, ranging from evacuation of non-combatants, reconnaissance and intelligence gathering, and in-theatre coordination of Libyan defending forces who are trying to contrast the IS terrorists. Malta has some of the best Mediterranean and Southern European airport and harbour infrastructures to provide foreign allied assets all the right support for any such operations. Small as they are, the Maltese composite brigade sized element of the local military, is an all volunteer army of professionals who are trained and qualified by some major military institutions overseas. Their limitations, from budget and manpower, to hardware and know-how, does nothing to dampen their enthusiasm to help out to their maximum when the Maltese government assigns them any task or mission outside the ordinary. The Libyan crisis of 2011 honed the skills of several highly skilled and specialised military personnel, who were capable in matching and catching up with their allied foreign counterparts. However, following the March 2013’s change of government which brought the Maltese socialist party back in power, those key players who made Malta proud then with their vision, direction, leadership and experience are no more able to perform once again, since they have either retired or been reassigned to other military duties, which are not core to their skill set. 12th June 2011: the Rapid Deployment Platoon boards a Libyan vessel (Photo copyright Corpi d’elite.net). Malta has mainly built its armed forces around Search and Rescue (SAR) capabilities. Do you think that, following the 2011 conflict, the national defence policy has changed? One has unfortunately to start, from the very outset, by stating clearly that Malta and its armed forces lack completely a declared and published Defence Policy document of sorts. One draft document, drawn up by ex British Ministry of Defence top civil servant and Maltese expatriate, Major Martin Scicluna (RMA Rtd. ), (who served as a consultant and advisor on defence matters to two Prime Ministers and their governments) was never approved and sanctioned for promulgation and dissemination, with its natural due subsequent adoption at both military and diplomatic levels. Parallel to this dismal state of affairs, yet long before Maj. Scicluna’s appearance on the scene after his retirement from the UK’s MoD, the Maltese military apparatus found itself leaning itself on a Search-and-Rescue role at the centre of the Mediterranean, for which it benefited from asset donation, training packages and EU external borders’ fund financing for new asset acquisition or old asset replacement. Unfortunately, with key Officers in the Maltese military leadership being aviators or SAR-mission coordination qualified individuals (some even to a high degree of dedicated professionalism and qualifications from the US Coast Guard in Norfolk, Virginia), those essential management and leadership direction required for those most basic military battle skills, planning and support logistics went never developed to current modern day business standards of conduct. Malta as a state relies too much on a Cold War era’s diplomatic legacy, called neutrality. It secured neutrality guarantees in the 1980s from Italy and some other lesser Mediterranean states, but that went dampened somewhat with Malta’s entry into the European Union and its federal reminiscent system of politics and inter-state protection in a virtually borderless Eurozone. So, in reality, in the absence of a strategy dictated by a doctrinally published Defence Policy, Malta manages crises as they crop up on any scenario’s radar, hoping and scathing through situations on a wing and a prayer! What sorts of air defence system protects Malta’s air space? Would it be effective to counter the intrusion of hostile aircraft or the launch of missiles? Malta does not possess any operational air defence ordnance, unfortunately. Since the disbandment of the 2nd (Composite) Regiment of the Armed Forces of Malta, the last remaining 40mm air defence artillery guns have fallen in disrepair, and qualified personnel have long since retired. Those remaining components who operated ex-North Korean ZPU-4 14.5mm quad heavy machine-guns in the light air defence support role, have seen their role fizzle to nothing with their being reconstituted into a small light machine-gun support company in an infantry shackled role. There was never any serious interest to acquire new modern ordnance and expertise with associated training packages, since all was deemed too expensive an investment. Even donated Italian army air defence artillery military radars and their guns have been neglected, whilst they were already obsolete from a technology standpoint, and were only donated to Malta instead of having them scraped in Italy. Early maintenance saw spare parts being scavenged from Italian army base scrap yards. 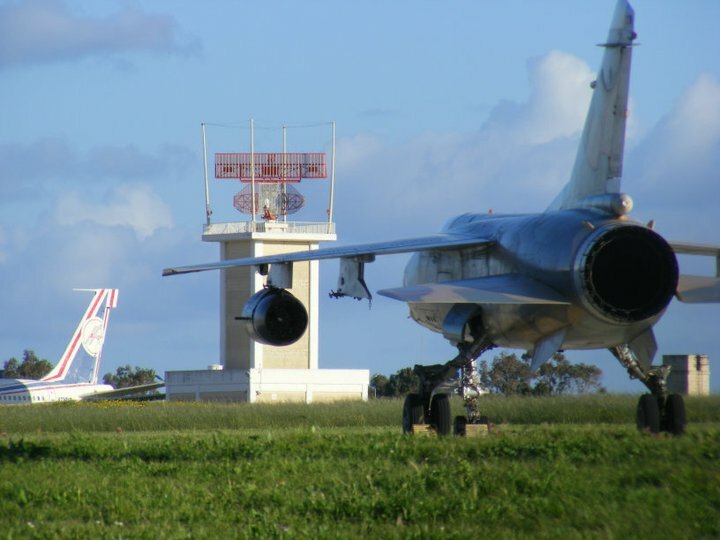 With no truly effective ordnance (guns or missiles) or early warning military radar which can counter electronic jamming, Malta remains defenceless as was proven with the surprise arrival of two defecting Libyan Air Force Mirage jet-fighters at the early throes of the Libyan revolution. One of the two Mirage jets which defected to Malta in 2011 (Photo copyright Corpi d’elite.net). What are the defences that should be made operational prior to offering Malta as a forward operation base supporting a military intervention against the IS in Libya? Any foreign military entity will look at its own force protection before basing its assets and personnel anywhere. With a local Maltese internal security establishment that doesn’t rely on proactive intelligence operations on its own turf to guarantee these most rudimentary requirements, Malta rushes in where angels fear to tread usually, just to provide a lip service or appeasing facade to foreign political powers. Added to the intelligence preparation of base environs, Malta needs to be physically present out in the field: in the air, out at sea and at key nodes of national infrastructure, be they media or public health or power and water generation/filtration installations. The serious and proper constitution of army reservists is also severely neglected, as part-time civilian or just-retired ex-army personnel can go far to augment the regular forces, since police law-enforcement is focused on other. The patrolling of bays, coves and coastlines, as was done in the 1980s and early 90s needs to be reintroduced at this juncture of time, till when the terrorist threat is properly diminished and curtailed. 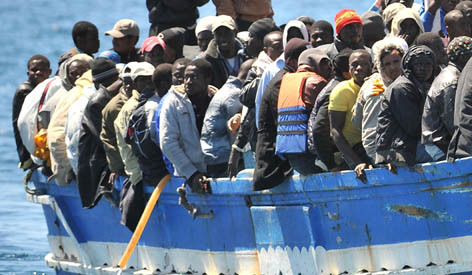 European security services are concerned about the possibility of terrorists using the uncontrolled migratory fluxes from Africa to infiltrate Europe and commit atrocities against the civilian population. Do you think that the massive influx of illegal immigrants which hit Malta over the last decade may pose a threat to national security? Evidence was found in a Maltese Curia rent-paid apartment, which pointed at it being used by an infiltrated sleeper Al-Qaeda agent and former rescued sub-Saharan immigrant. Yes, this has been a reality since when the illegal (or irregular, as politically correct aficionados want to call it) migration started hitting Malta way back in year 2002. 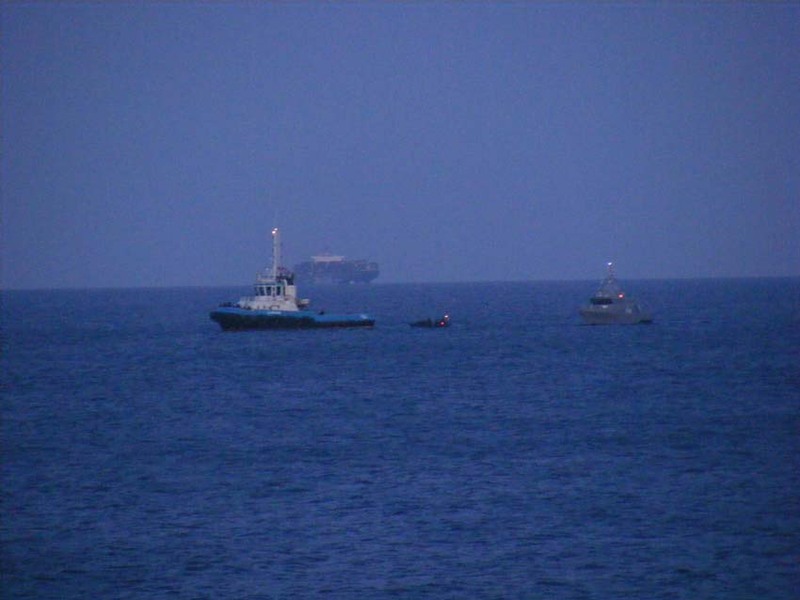 Uncorroborated intelligence and media reports even suggested that the trafficking was being done off larger mother ships sailing and posing a merchant vessels off the Libyan coast, and similarly in the East Mediterranean waters of Greece, Cyprus, Lebanon and Turkey. Suppressed and denied evidence was found in a Maltese Curia rent-paid apartment up north on the Island, which pointed at it being used by an infiltrated sleeper Al-Qaeda agent and former rescued sub-Saharan immigrant. A percentage of those rescued and landed in Malta have over all these years made it covertly and illicitly to mainland Europe with the aid of Maltese criminals as well. With Malta’s position at the crossroads of the central Mediterranean shipping lanes, it was always well positioned since its former colonial times to host those operatives seeking to have an upper hand on their nemesis. Consider that under the 1970s/80s Socialist regime of the Maltese PM Dom Mintoff, Malta was the northernmost intelligence gathering outpost (not inside an embassy) which the Libyan dictator Ghaddafi had. 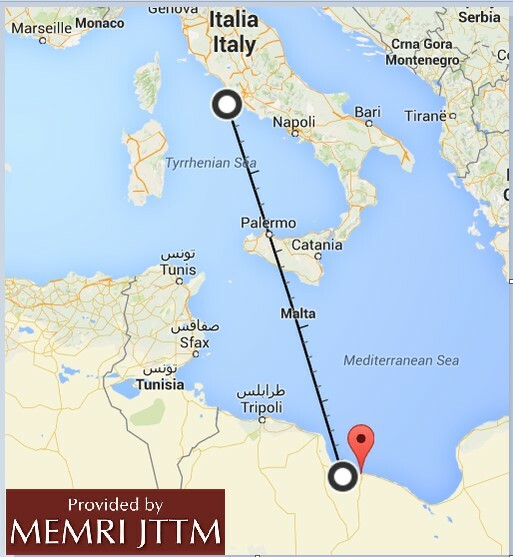 In its guaranteeing Malta’s neutrality, Italy placed a small military mission of assets and trainers on the Islands, after a Mintoff spate with the Libyan supremo over oil exploration rights down south in the Gulf of Sirte. It was the right pretext for a NATO-member like Italy to have an even more southern foothold to conduct its own agenda in this south Mediterranean area. The presence of a large number of Africans and Arabs in Malta who have found themselves rescued and landed here by accident or by their deliberate design, has over the years also increased racial tensions by the Maltese who have by now adopted them in many low-paid blue collar jobs in hospitality and construction businesses. That these foreigners stand out amongst the local population is the first factor that draws attention to them, concurrently to the long standing presence of an Arab expat community of Libyans, Syrians and others. Compound this with an influx of other EU states’s citizens from the mainland in the borderless innards of the Schengen Zone, and those Eastern Europeans or Slavics from the Balkans of non-EU member states. Malta found itself transformed from an industrial services’ labour base economy in a sunny tourist spot, to a multi-ethnic host-nurse of the central Mediterranean, with all the good and very bad things international intrigue and finance can bring with that. Are you aware of any cases of terrorists who have posed as immigrants? No, the Malta Police immigration authorities and the Malta Security Service have always remained very tight lipped on anything in this regard or even remotely associated with the thought of this. The rationale would be as to not panic the civil population and lose face in the eyes of other foreign states, especially other EU member partner states. However, there goes underlined the capture and arrest in Malta in past years by foreign intelligence, law-enforcement or counter-terrorism agencies of several suspected terrorists who had been on international most-wanted lists. 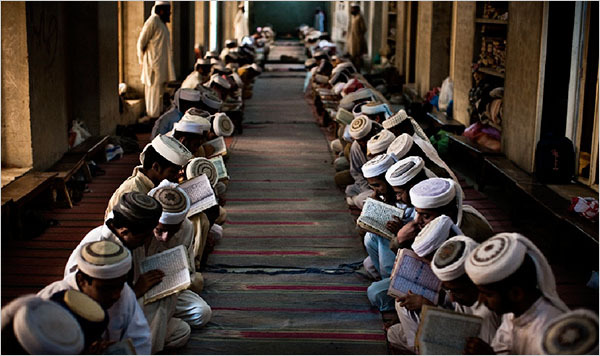 Reports have emerged about the presence of Islamic madrasas in Malta. How credible is the threat posed by extremists who may have already set foot on the island? It is very difficult to gauge this: there is one main long standing mosque in Malta, located in Paola which surprisingly enough somehow enjoys some form of diplomatic immunity and is led by a Palestinian émigré mullah. Other prayer facilities mushroom here and there on the island, and some have been reported in both local and social media as being located in apartments, low-quality hotels or garages. These latter type of premises are allegedly also doubling as madrasas, which the Maltese government hasn’t tackled head on in any way. Consider that the Maltese prime minister of the year-2013 elected new Socialist government has embraced on his personal staff a Maltese convert to Islam, to lead integration efforts with various minorities. However, it was this same PM Dr Joseph Muscat who was the first Maltese PM to fly out to Israel and meet the top government officials there (Malta operates Israeli manufactured aerodrome radars, and military radios, amidst good bilateral relations). Back to the Islamist extremist threat, the Maltese are not a very tolerant lot per se, but they just grumble too much without much tangible action. Black Islamist flag waving carcades along the Sliema promenade have been witnessed, yet dismissed by the Maltese authorities, but the awe was enough to draw attention to the affluent Arab immigrant community that has thrived in Sliema’s Qui-si-Sana peninsula, especially since after the degeneration of internal security in Libya. Students from an Isalmic madrassa (photo not taken in Malta). Islamic terrorist groups have been highly successful in targeting bars, malls, hotels and other touristic areas. The recent attacks on Mumbai, Nairobi and the Corinthia Hotel in Tripoli come to mind. Malta’s coastal areas are highly frequented by tourists: is the local security apparatus ready to tackle such scenarios? No, the threat assessment of such spectacular action is beyond the imaginative capabilities of the Maltese security apparatus. The Maltese military leadership is brimming with young enthusiastic yet unqualified and inexperienced Officers, who are in their near entirety all political appointees, and who will play the Maltese government’s fiddle of people calming and appeasement. Throw in to spice the traditional lack of trust and interoperability of info exchange or assets/personnel with the Malta Police Corps, and there remains a recipe of plain disaster, stemmed from unrehearsed, non-existent drills and protocol procedures to follow in the case of scenarios you describe. Anti-hijack drills or aircraft accident training exercises are a thing of the past, long forgotten and not anymore worth the paper they remain printed on. No major disaster at sea exercise manouvre has ever been conducted for such a possible calamity, despite having a dedicated government entity such as the Malta Transport Authority there to ensure safety and security standards at sea as well at airports. Do the AFM or the Police have hostage rescue teams? Not anymore! Both the armed forces and the police respectively had units which were near the grade of professionalism, training and qualification to conduct hostage rescue operations. The Maltese army had the slight edge on this, especially when it came to seaborne board and seizure of vessels, as its maritime component was trained hard for a pretty long spell by several varied specialist foreign special forces. The Police had over time diluted its knowledge base of personnel with transfers or retirement out of the unit of those capable of engaging in such actions, leaving the army to completely lead in the direction of hostage rescue onboard aircraft. Again here, this same skill has also been diluted somewhat. Both entities have Scotland Yard trained negotiators still in service though. Can you tell us about the national exercise named Operation Warda and why it has been suspended? 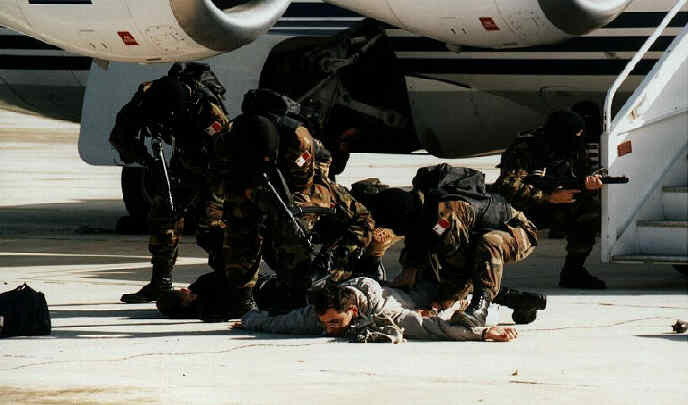 Operation Warda was a national anti-hijack exercise held bi-annually at Luqa Airport, which saw inter-governmental agencies working together on a training scenario. It brought together a lot of talent, and was aimed at honing skills and rehearsing for when an unlawful interference in routine aircraft operations occurred, such as a hijack. As to why or how it became a stale operation’s plan just on paper, never updated or refined from lessons learnt, is the responsibility of those key agent-moteurs in authority who failed to maintain the standards needed by international entities like ICAO (International Civil Aviation Organization). Operation Warda was a national anti-hijack exercise held at Luqa Airport. A Maltese newspaper has been criticized for its reporting of the heightened state of alert of the AFM following the IS threats to Europe. How important is it to raise awareness among the population about security threats? Absence of (perceived) threat does not mean absence of menace. For those who live by the maxims “train like you fight, fight like you train”, and “train hard, then fight easy”, all this commotion and hubbub is a panicked knee-jerk reaction to never ever seeing one’s military go to a heightened state of alert, even for sake of training. Such postures are routine administration overseas, whether or not there are specific threats. The Maltese and its military are simply not geared to not having it all calm, cool and laid back easy when the momentum of things need to be ratched up a notch. The upheaval in terms of man-management, logistics and soldier-welfare is worse than a headache for the Maltese military leadership, reasons why only a select small number of highly trained specialist volunteers get to serve on overseas deployments. On the other hand, there is no Government sensibilisation or awareness campaign to increase their vigilance and observation of anything suspect. In the sense, if it ain’t broke, don’t try to fix it, let alone improving it. Does Malta’s neutrality still make sense? No, not at all, hardly. Malta’s position of neutrality went sliced, diced and dumped the moment it became part of the European Union. Whilst the outward facade of its sovereignty remains intact, its own manouvering or elbow space as to how to act or conduct itself and with who on the international stage have changed entirely, with benefits and other disadvantages. Remaining outside a military cooperation block is just a reminiscing and narrow minded mentality of the post-colonial years when the Cold War was at its height between the superpowers of the time. Had the 5+5 Initiative between the 5 south European states and the 5 north African states really been effective as a group instead as a grand ever-debating society, there could have been ample room for military and security cooperation of far higher levels than those enjoyed right now. Maltese diplomacy seeks too much to dialogue, and yet it hardly achieves anything long lasting or tangible. How can Malta modernize its security apparatus to a level where it can effectively defend itself from terrorism? Consider this first as a premise: Malta’s defence spending is a paltry 0.5% of GDP, whereas 2% is considered a minimum to retain a capable military. And all this makes Malta’s neutrality as effective as a chocolate teapot. I refer back to Question 13 above, with more proper investment in personnel and equipment, training and overseas inter-operations training with foreign forces, the Maltese military increases its own skills set and knowledge base. The military must not remain yet another pawn in government hands, which since 1974 has reduced it to like any other government department or ministry, stripping it of its due importance, status and respect. Its own logisitics procurement procedures mustn’t be shackled and identical to those of the civil administration, leaving little room for its own research and development, or to simply acquire mil-spec simple items. The Maltese military need to consider each of its personnel equally as combatants, making no distinction between those in support or administrative roles in offices and those daily deployed out in the field, unit personnel rotations are a must, and more decent and well defined professional career paths must be laid out with incentives for all ranks. How can Malta and Italy help each other in the war against terrorism? Better and more frequent inter-operability military and law-enforcement training, intelligence exchange and increasing again the stationing of Italian air surveillance and reconnaissance assets as well as coast guard or naval units (though this is politically sensitive and debatable for several). Had Malta ever found oil, and granted US companies oil exploration rights, the US Navy’s 6th Fleet could itself leave its HQ in Naples and park itself in Malta. Similarly, as this juncture of world history with the IS threat, Malta can host those allied forces to tackle these terrorists. One must recall that the EU’s border control coordination agency FRONTEX had several assets from various countries stationed in Malta when they attempted to tackle illegal migration. So why not now, again?